Snapchat is rolling out a new feature that will save you from the embarrassment of sending the wrong message by letting you delete them before the recipient has read it. Regrets can be with you for long, but what if you have the power to correct your mistakes well in advance. In this digital age, the biggest regrets millennial face is through the social media mishaps. Naked video of Sara Khan uploaded by her sister on Instagram is the most recent example of how disasters can take place on social media. If you're a Snapchat user, you probably have had at least one instance where you sent a wrong message to your friend, or even worse to an ex. Even though Snapchat makes that message disappear once it has been read (one of the strongest USPs of the platform), the embarrassment followed by regret can be haunting. What if you had the power to control what messages the recipient sees? Snapchat has answered the prayers of those sulking souls by rolling out "Clear Chats" feature that lets you delete unread messages, 9to5Mac reported. Here's how to unsend a message in Snapchat. Locate the message you want to delete or edit. Press and hold on to the message, which can also be a media file, sticker or audio, and then tap "Delete." This feature is identical to the one WhatsApp recently added to its platform. 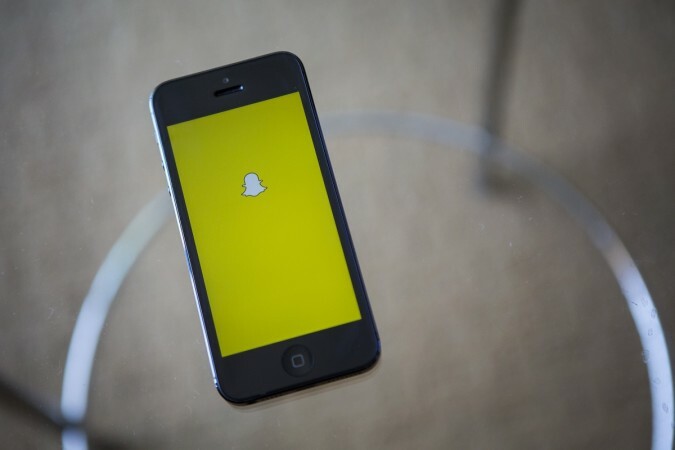 Snapchat will notify the recipient that a sent message was deleted by the sender, and it's quite possible the recipient will insist on what the message was. As long as the recipient hasn't seen it, you can save a great deal of embarrassment. Snapchat has only started rolling out this feature to its users around the world and it will be available to all in the weeks to come. In order to use the new unsend feature, users must be on the latest version of Snapchat.